Cats are the only species of animals in the world that have domesticated themselves. They are highly intelligent beings and fully understand the advantages of a symbiotic relationship. We might think that we have a cat as a pet, but in reality, they are more like room-mates with their own set of demands and conditions. 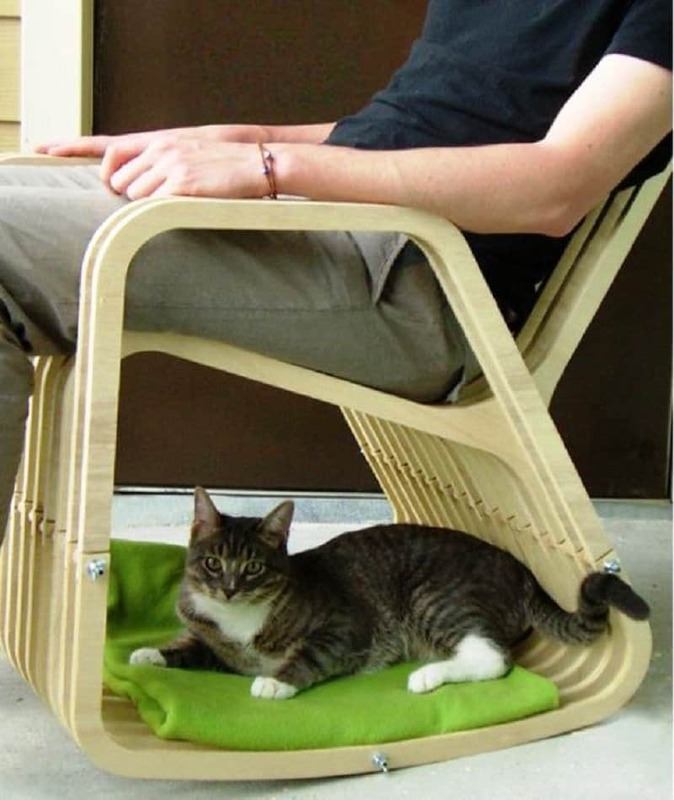 They say that it is easier to win the affection of a human being as compared to a cat, so for all the cat lovers out there, here is a list of unique home furniture in order to tempt your cat into liking you more. 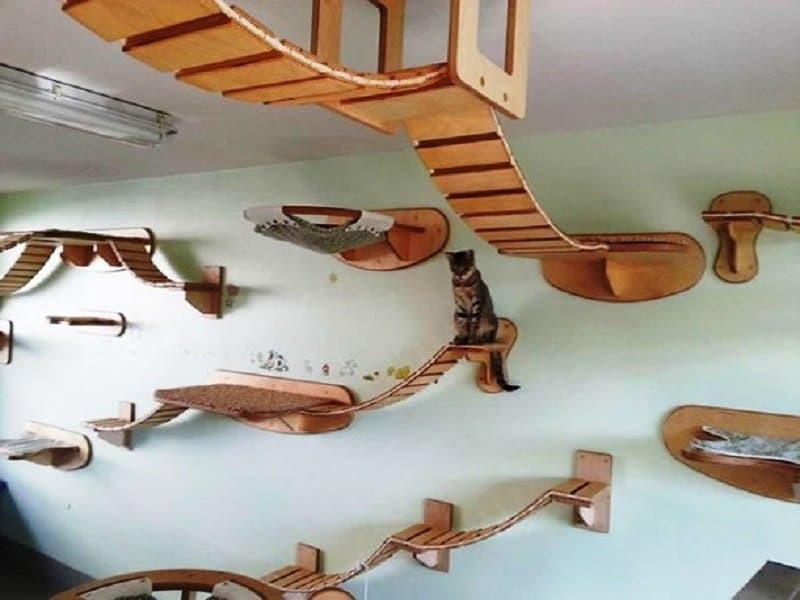 This design is a bit more complex than other items on this list, but if you can make this happen, you cat is sure to fall in love with it. I know what you are thinking, that this looks like a mini-version of a luxury suite, and you are right, it is exactly that. 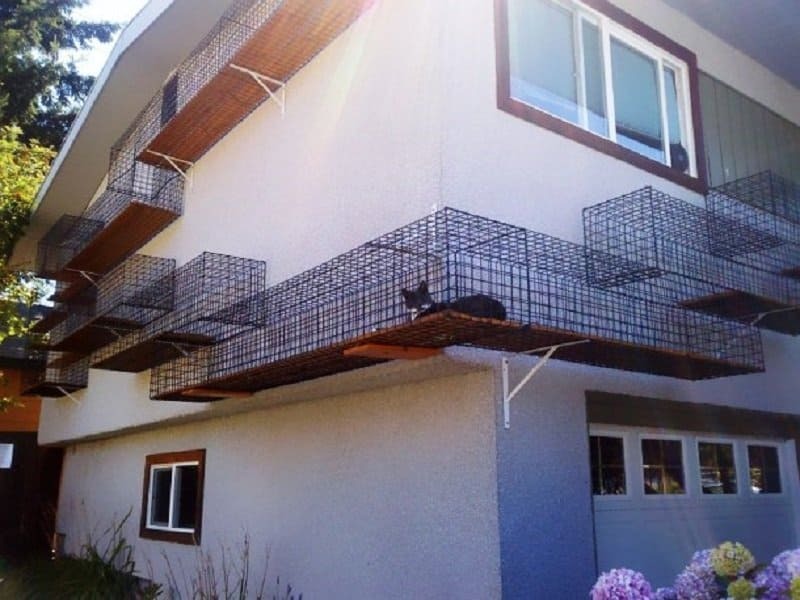 Cats definitely love the good life, so this is a page taken straight out of a cat’s dream journal. 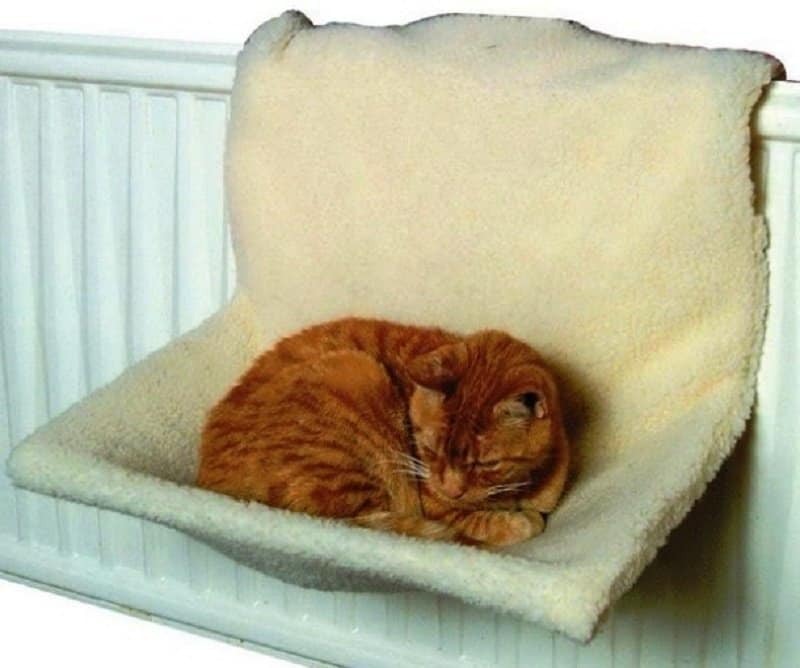 If you don’t want to work too hard on making your cat a fancy bed, this radiator bed design is absolutely perfect. 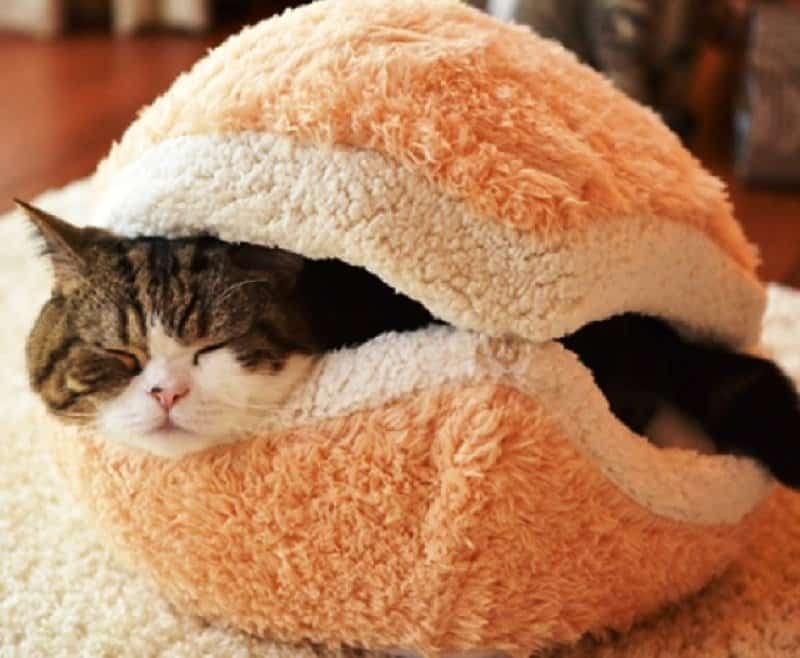 It will keep your cat warm and it is cozy and elevated. Cats like their space, but they also like being around you. Making a space for them under your chair is the best way to raise their comfort zone. Cats already walk like they are head and shoulders better than the world around them. Why not just make them a sky bridge to compliment that air of superiority? Cats love sitting by the window and watching the world go by. 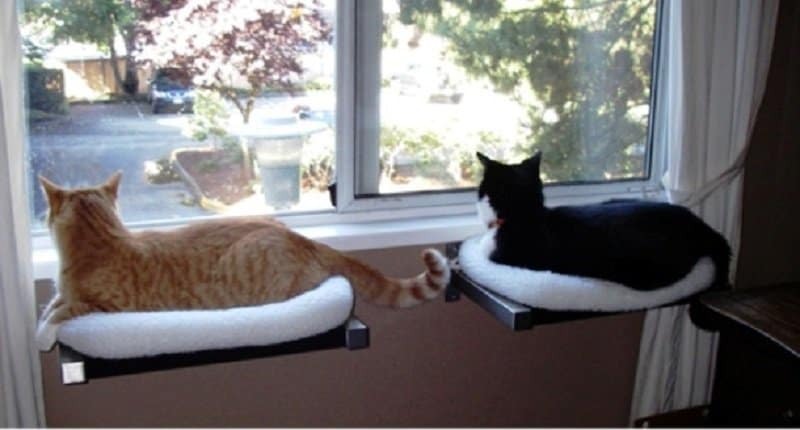 Making a comfy spot right next to a window is a great way to keep them happy. 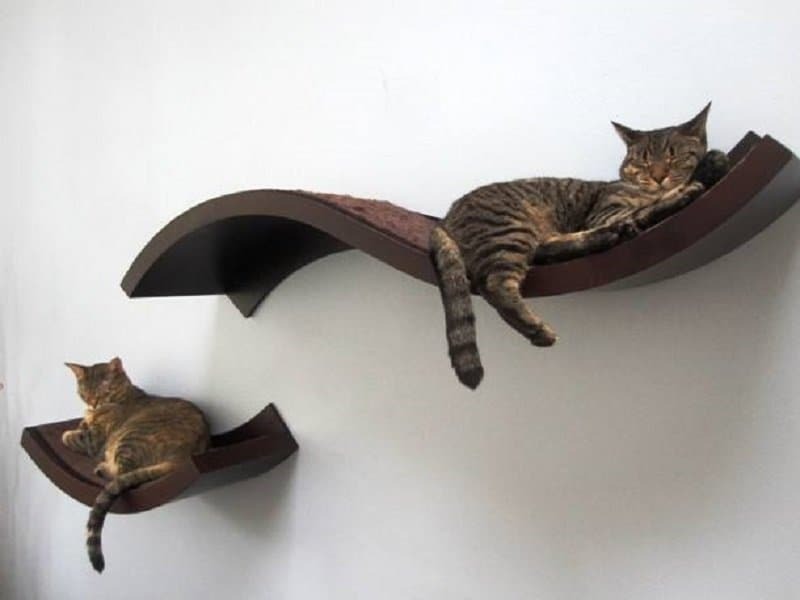 This design is a great way to decorate your interiors and create a comfy space for your kitty. 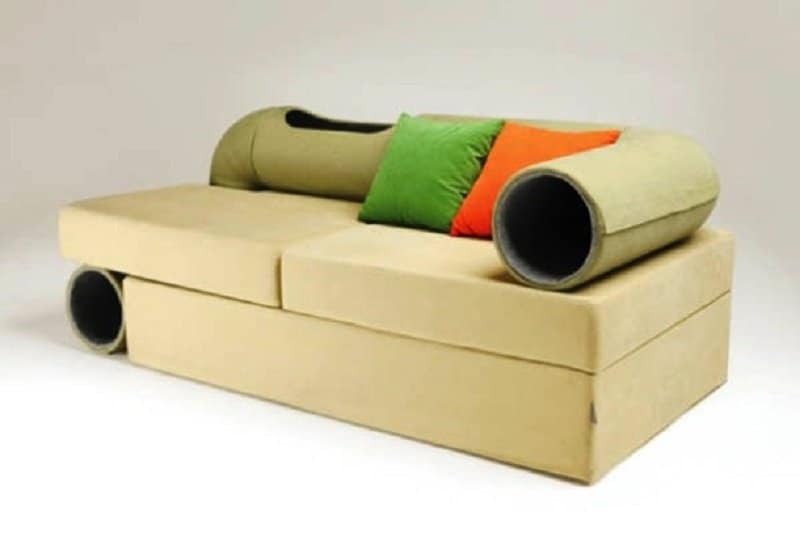 Making a tunnel around your sofa is a fun way to keep your cat entertained and to provide it some space to be alone when required. 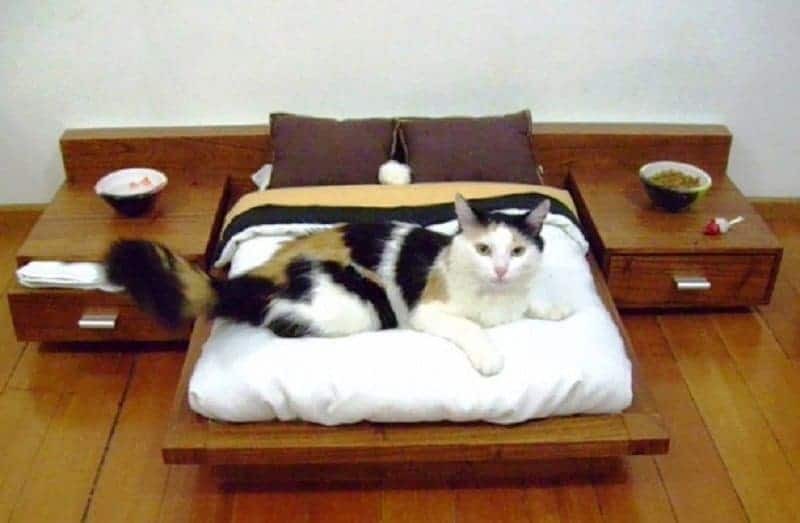 Cats simply love cozying up in a warm and snug space, and doesn’t this bed look absolutely perfect for that? 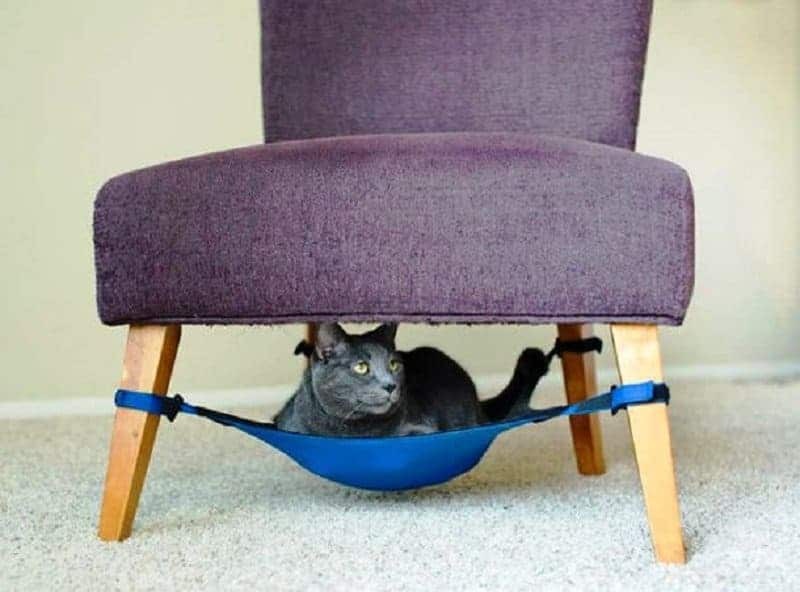 This dual design provides your kitty a safe space while also gently rocking it to sleep while you make yourself comfortable as well.